This week on the #BCSM chat, we’ll hear from about Lobular Breast Cancer. When I was diagnosed with breast cancer in early 2011, I was clueless. Clueless that there were different types of breast cancer. Clueless that mammograms weren’t foolproof. Clueless that “dense” breast tissue was a thing. And that not knowing about that thing had allowed my cancer to grow and grow for years without detection. I’d had regular mamms, like everybody else, but the type of cancer I had – lobular or invasive lobular carcinoma or ILC — was sneaky, my BC surgeon told me. Lobular was hard to spot on its own, she said. Lobular hiding within dense breast tissue was sort of a, well, double-whammy. So it goes for many of the women who now make up what I call the #lobmob. We’re diagnosed later because lobular doesn’t always screen as well as other types of BC. Nor does it behave like other types of BC. Lobular is a different cellular (or histological) form of breast cancer from ductal, the most common type of BC. 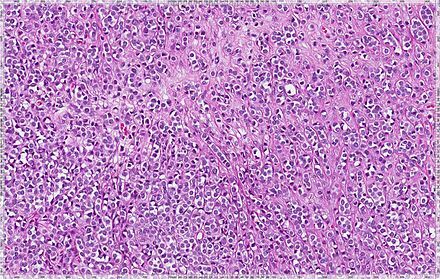 Lobular tumors usually lack e-cadherin protein expression which makes tumor cells clump together, among other things. So instead of making a lump, lobular cancer cells spread out like tree roots or branches, sometimes infiltrating both breasts, and often avoiding detection not only on mammograms, but CT and PET scans, as well. Naturally, that delays diagnosis in both early and late stage patients. Other tidbits I came to learn about lobular (you can find more here). Lobular or ILC is not a rare cancer. It’s the second most common histological type of breast cancer and the sixth most frequently diagnosed cancer of women in the U.S.
Lobular is a distinct subtype of breast cancer, but it’s been understudied for years and patients with ILC are typically treated with the same protocols as ductal. This can be problematic. In a nutshell, lobular is freaky, it’s sneaky, it breaks a lot of the rules and it’s not on people’s radar. It certainly wasn’t on mine. I didn’t even have a lump – instead I had a “dent,” a tuck in Lefty that crumpled in when I raised my arm. A diagnostic mammogram (again clean), an ultrasound, a biopsy and a double mastectomy later, I was a stage 3A “globular” breast cancer patient. Thanks to the breast cancer social media (#BCSM) community; breast cancer peeps like Dr. Nancy Cappello of AreYouDense.org; and some extremely patient biostatisticians, radiologists, pathologists, epidemiologists and clinical researchers at Fred Hutch, I’m no longer clueless about lobular BC (or dense breast tissue or the efficacy of mammograms). But many people still are. The general public and most media outlets for sure don’t differentiate between lobular or ductal or DCIS or inflammatory, which is one of the reasons I wrote this story about lobular breast cancer. Because lobular patients – and their PCPs, radiologists and oncologists – all need to know key differences between ductal and ILC so they know what to look for and what to expect. Because freaky sneaky lobular BC doesn’t play by the same rules. For instance, lobular can recur in weird places once it becomes metastatic. It shows up in the bones and liver and other common mets sites, but it can also crop up in the ovaries, GI tract, the lining of the abdomen, the stomach and the ocular area. Yep, here’s breast cancer in your eye. I’d rather have mud. Not all patients know this stuff (I certainly didn’t). But thanks to the formation of a new advocacy group, the Lobular Breast Cancer Alliance, we’re getting the word out. Founded by Seattle patient advocate Leigh Pate and a handful of other lobmobbers, the LBCA is volunteer-based, like most patient advocacy groups. Its aim is to work with BC researchers and clinicians to advance ILC research and improve outcomes for lobular patients. Build partnerships with breast cancer organizations and institutions to better address the needs of ILC patients and educate key audiences about ILC and ILC metastatic disease. Thanks for the ear and for your help in spreading the word about lobular BC and the Lobular Breast Cancer Alliance. For those interested in delving deeper into the latest research on ILC, there will be a special focus on lobular at the Northwest Metastatic Breast Cancer Conference in Seattle October 26 and 27. More details here. Learn more and register for the livestream or attend in person! No website. Just a comment. I had ILC in one breast. Stage 3C. My oncologist said it hid for about 8 years. I was 58. I’m 60 now. They only took one breast. My remaining breast is extremely dense and yet, they still won’t take it.